How to start a chainsaw seems like a very simple task, but it can be very frustrating especially to people who have never owned or operated one. Even a brand new chainsaw in perfect condition can be very hard to start. This article discusses the steps involved in starting any type of chainsaw. 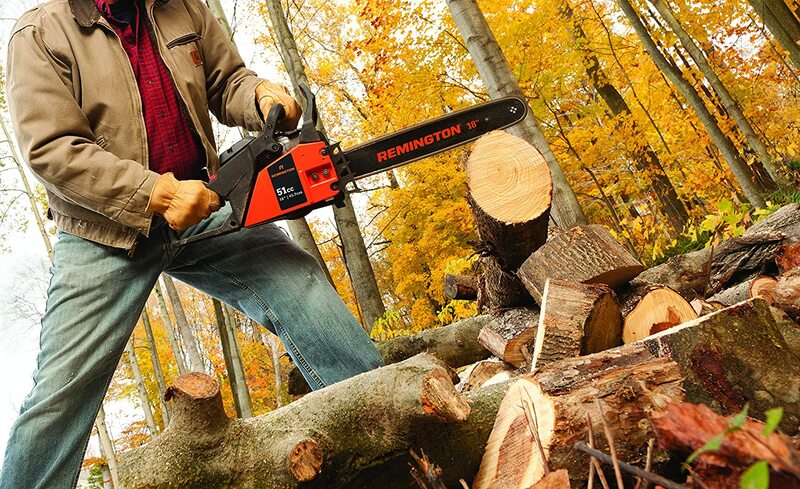 Before starting the chainsaw, always activate the chain brake by pushing it forward. The brake is located on the handle on top of the saw and stops the saw from rotating around its bar. Ensure you remove the bar cover before starting the chainsaw. If the chainsaw has a decompression valve, press it on. The valve assists with igniting the engine and thereby starting the chainsaw. If the chainsaw has a primer bulb, then press it a number of times. This helps with starting by reducing the number of pulls required to start the chainsaw. The next step involves setting the chain’s master control system to cold/choke start. The throttle trigger and the throttle trigger lockout should be pressed first. The master control level should then be pressed all the way down. Lay the chainsaw on a flat surface. Its cutting attachment must never be in contact with the ground as this may blunt it when starting something that puts the user unnecessarily at risk. When leveling the saw on the ground, have your right hand on the starting rope and the left hand on the handle bar. Your right toecap should push the rear handle in order to stabilize the chainsaw. Pull the starting rope slowly with the right hand up to a point where you will feel some resistance. Continue pulling the rope hard severally until the engine briefly fires. Pull the rope upward while keeping it as vertical as possible. Do not allow the starting rope to chafe against the fan’s housing. The engine usually fires just briefly and then immediately dies again. After this happens, move the master control level slowly up one notch in order to open the choke. Pull the rope again hard until the engines fires up again. Once the engine has fired again and is running, use your index finger to briefly touch the throttle trigger. This will move the control level back to its normal idle setting. Slowly lift the chainsaw up, taking great care not to touch or disturb the throttle trigger. Release the chain brakes gently by pulling the chain-brake handle towards yourself with the left hand. As you do this, ensure your left hand is keeping strong hold of the handle bar. 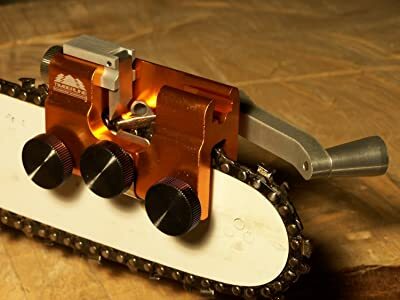 The chainsaw will make a click sound which shows that the chain brake has been successfully released. You can now turn on the bar. Check the chainsaw lubrication before getting started. Hold up the chainsaw against a light colored background, like a piece of paper or a tree trunk, and then open the throttle trigger fully. You can start work if some lubricant appears on your light colored background. Your chainsaw is now ready for work. Starting a chainsaw can be simple yet tricky especially to those people who have never used one. However, following all the above steps will see your saw running. It is important to note that although the above discussed steps apply to most chainsaw models in the market, they do not apply to all models. Some models may not require one to follow all the steps while in some other models all of the steps have to be followed. It is therefore recommended that you first read and understand the manual for the chain saw you are using. The procedure for starting a cold engine may also vary from those of starting a hot engine. For instance, a chainsaw can start without the choke when its engine is hot. A cold engine requires all the above steps to be followed. All these instructions are clearly spelled out in a chainsaw’s manual. It is also recommended that you check and ensure your working area is safe. Each of the above discussed steps also require that you strictly observe all safety precautions, even those in the instruction manual. Children should never be allowed to start or operate a chainsaw.